Saving the universe can be a tiring business! So after their big battle with Frieza on Namek, Goku, Gohan, Krillin, and Oolong decide to take a little camping trip for some rest and relaxation back on Earth. 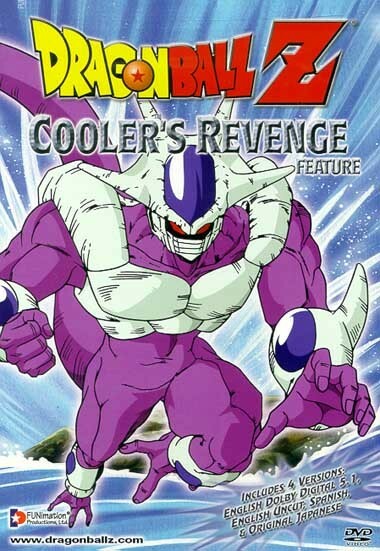 But their peaceful weekend is soon interrupted by a menacing force.Frieza has a brother: Cooler! And with his powerful Armored Squadron, he has come to Earth seeking revenge. Cooler will not rest until the man who destroyed his brother is vanquished, even if that means blowing up the entire planet!Goku was able to tap into his hidden powers and transform into a Super Saiyan once before. The question is, now that the Earth is threatened by Frieza's older (and stronger) brother, can he do it again?